Hand stitching is NOT my forte, but I think they turned out cute enough for little fingers to have fun! They were mounted on the card with just a glue dot so they could be removed easily. I think she’ll have lots of fun playing with her new little friends! Have a lovely week and thanks for stopping by! p.s. Any ads you may see are placed by WordPress and are not endorsed by me. 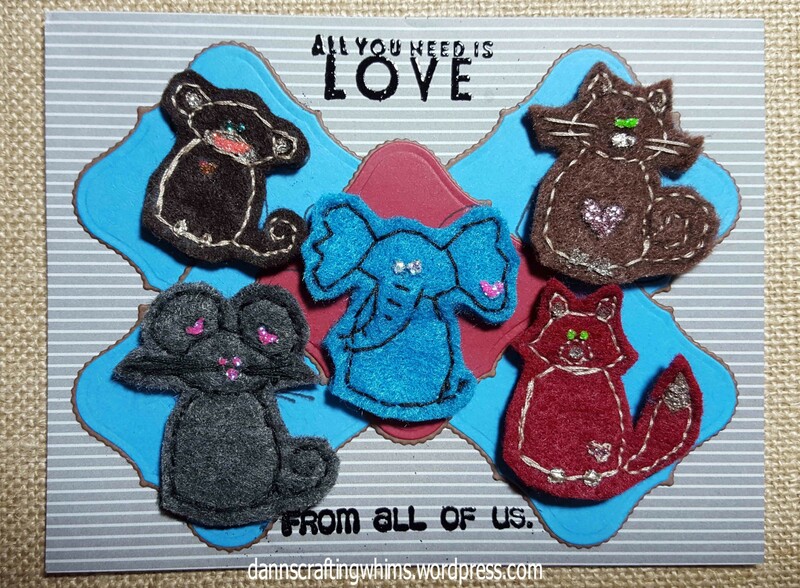 This entry was posted in Cards, Friendship Cards, Kids cards, Papercraft and tagged Adirondack Dimensional Pearls, Felt Finger Puppets, Finger Puppets, Ice Stickles, Kunin Group ClassicFelt, rangerink, sharehandmadekindness, Spellbinders, Spellbinders Scalloped Labels One, Stickles, Unity Meow. Purr. Baa., Unity Roar. Grr. Eek., Unity Whooty, Unitystampco by dannscraftingwhims. Bookmark the permalink. 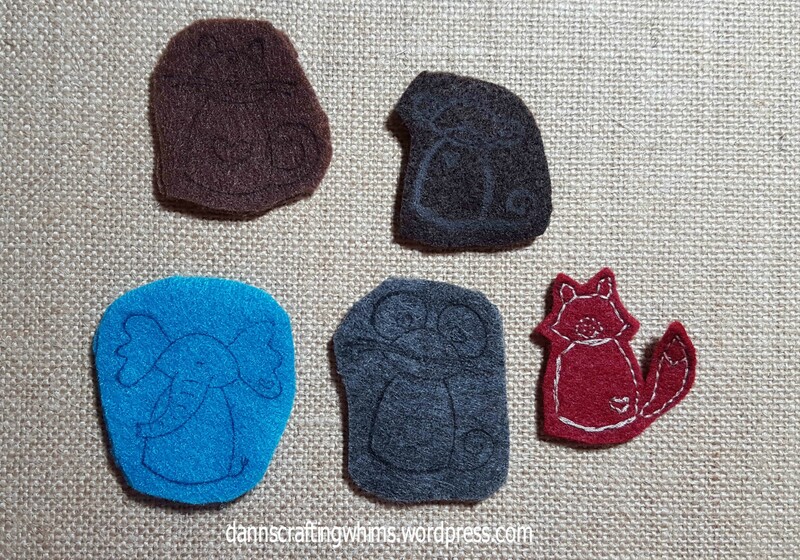 Oh my gosh, these are so adorable and I can’t believe you stitched them all! 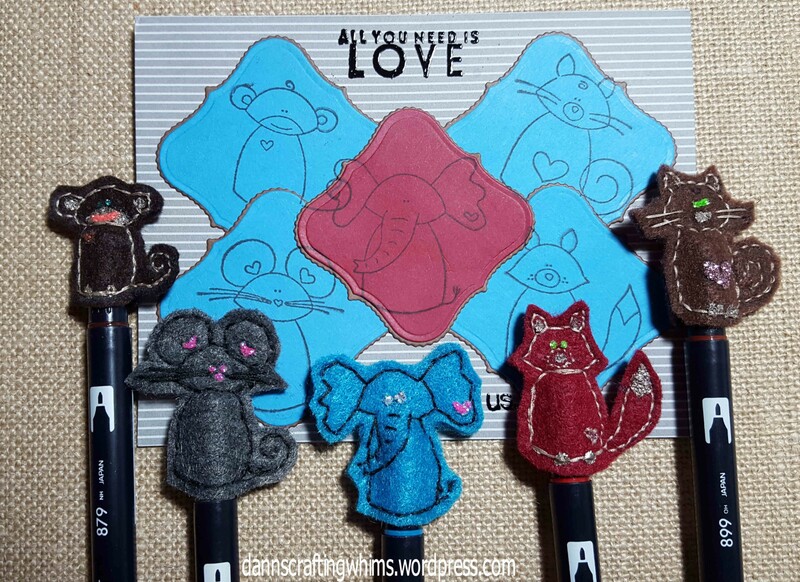 What a great idea to use the stamped images as your patterns…and what an absolutely fun project to send and receive!